The Ultimate Guide to Social Media for Business Owners, Professionals, and Entrepreneurs shares my personal approach to doing business on social media, which has helped our law firm bring in million dollar cases. 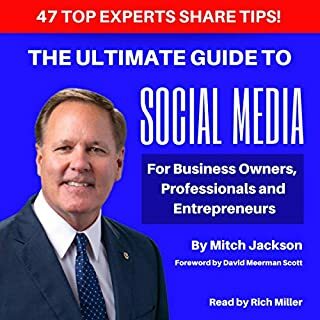 It also gives you immediate access to the crowdsourced brilliance of 47 top social media, business, and communication experts who show you, through real-world examples and their own success, how you can use social media to build your brand, top of mind awareness, and dominate your market. Great book on social media for lawyers. Mark W. Schaefer, college educator, consultant, and best-selling author of five marketing books including Social Media Explained and The Tao of Twitter, has delivered a path-finding book exploring the six factors that will help you break through the overwhelming wall of information density to win at marketing now...beyond content, beyond social media, beyond web traffic and Search Engine Optimization. The Content Code starts where your current marketing plan ends, and provides the launch code for next-level success. We have been sharing stories from the beginning of human civilization - for good reason. Stories captivate our attention and build communities by bringing ideas, emotions, and experiences to life in a memorable way. This is proving to be an increasingly potent strategy in the era of the connected digital consumer. With consumers more empowered than ever before, your brand isn’t what you say it is anymore, it is what consumers say it is. As a result, capturing customers’ hearts and minds today requires businesses to prioritize emotional connections with customers. Our world is flooded by advice, ideas, and experts, but we shouldn't make decisions based on "best practices". Instead, we should do what works best for us, building careers and companies with the sort of clarity that leads to exceptional work. Only first, we need to escape the endless cycle of stale approaches and trendy tactics that hold us back. We need to break the wheel. How cataclysmic consumer trends are a predictable result of a revolution that started 100 years ago. Why businesses must be built on human impressions instead of advertising impressions. The five constant human truths at the heart of successful marketing strategy. Why customer loyalty is dying and what you need to do about it right now. How to help your best customers do the marketing for you. Actionable steps to provide an immediate course-correction for businesses of any size. 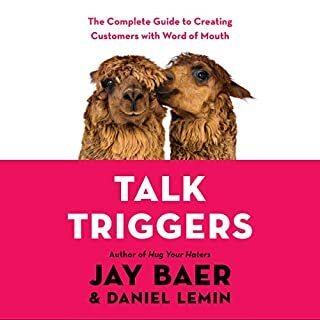 Through new research, singular insights, and inspiring case studies, this entertaining audiobook challenges your view of what it means to be a marketer today and provides an innovative blueprint for business growth. The Marketing Rebellion is knocking at your door. Are you ready? What a tremendous book. I've purposefully spaced out my consumption of this book just to allow myself to absorb it properly. Mark's words and dictation set the pace for a brand new marketing world beset with problems and challenges that are best solved by digesting these three words: be more human. There have been plenty of marketing messages and leaders who have shared this over the years, but no one has ever done so more succinctly or convincingly. 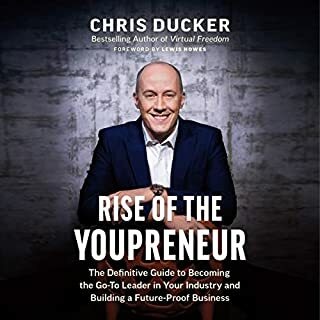 The case studies Mark shares in this book not only capture the reader's attention, they grab every business squarely by their shoulders and look them straight in the eye, saying, "I know some of this sounds foreign, but this is the way to future and present success." Best marketing book of the year! Very well narrated by the author himself. I finished the book in two days of listening and couldn't put it down. It's full of interesting examples and practical advice. A must read for every self respecting marketer who wants to survive the disruption going through the marketing landscape right now. A Book Every Marketer Should Read! For those looking to make true and lasting change with a meaningful impact in their marketing career, start here! The history and future has never been more clearly articulated, with the true way forward well layed out. Mark does a great job inspiring a new application for those of us tied of the downward spiral if transactional customer relationships. Gotta believe in doing different for this to be a springboard! Love Mark's narration! 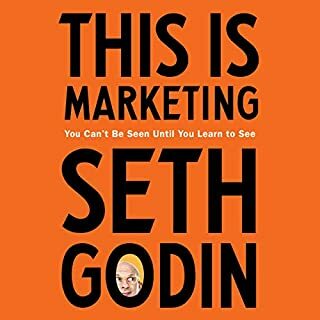 As I begin to explore more marketing this book really helped me think about things in a good perspective. Be a rebel. But be warned: Mark shows you how. There's that voice in the back of your head that nags at you - something has to change. Usually kicked off while sitting at a Marcom boardroom and another "let's take this offline" or "We're really happy where we ended up with this creative" (before the agency pitches an idea that requires shots of Kool Aid to wash it down). Mark takes you through the uncomfortable reality of where you are now. How impossible it is - both the current state of marketing and that feeling that it can't be changed. But he does take you through the other side. This is not a book of wistful theory. 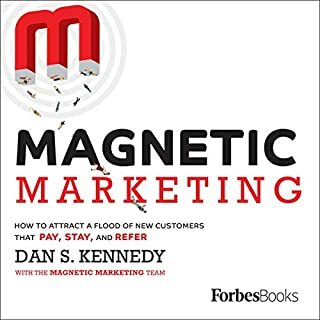 It is a book based on fundamentals (including the prized and still relevant fundamentals of Kotler), of observations sifted through Mark's own rational and innovative brain cells and grounded in Marketers daily realities, via interviews presented in Mark's signature storytelling fashion. I choose to listen to Mark's books. Because it reminds me of hearing him speak. No other business author or speaker will have you laughing out loud as much as Mark. Beyond the lessons of his books, take note of his storytelling gift. How he introduces you to a point, how he illustrates it in a story - with clarity and wonder. And how this leads to your solution - specific and actionable. Be ready for solutions to your specific marketing challenges to pop in to your head while listening to this audiobook. Now go forth and change the world. Mark Schafer distills the truth about marketing and reminds all of to be more human in marketing & in life. This is a must read if your business relies on human clientele. Important book, excellent narration by the author! This book is a must-read for marketers everywhere. Our industry is changing. The traditional approaches aren’t working. Mark explains in depth how these changes started years ago, and what we need to do now to stay relevant. “Marketing Rebellion” is packed with valuable research and inspiring examples, and Mark’s reading adds more value. He makes it feel personal, like hearing industry secrets from a trusted friend or mentor. Get this book! Especially the audio version. You won’t regret it. Mark really challenges me in his book. A good challenge, which included encouraging stories and examples of this marketing rebellion in action, but definitely challenging to my current way of doing things. Even as we see the rebellion and embrace it, we continue to do what we know. With Mark’s way of laying it all out, there’s hope that we can shrug the shackles of “we’ve always done it this way” and the chains of “get me a dashboard to show ROI right now” and put on the freeing cape of MORE HUMAN MARKETING. A must read for anyone in business today. 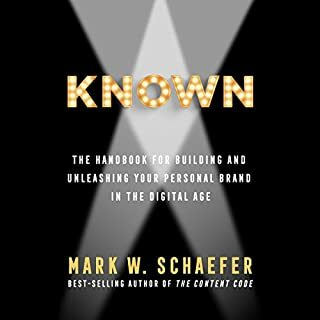 In an age of breathless “Here’s The Magic Secret To Marketing” books, Mark Schaefer puts out another honest volume that lets you see the truth of things. After listening to his previous works Known and The Content Code, I was quick to get this one too. Glad I did. Full of insight and wisdom, as always. One of the best books I have ever listened too. Mark's way of breaking down the whole concept of marketing and how it has and is currently changing is a breath of fresh air. As a Marketer, it has made me sit back and look at Marketing on a bigger scale. 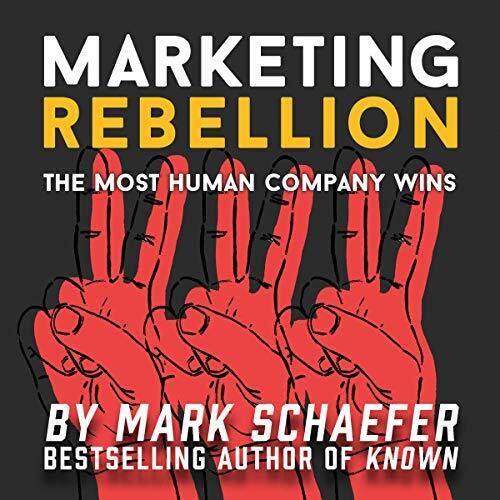 If you only buy one book this year and want to move your Marketing to the next level and gain insights from all of the research carried out in this book you should differently invest in Marketing Rebellion by Mark Schaffer. The audiobook is easy to listen too with the author reading it to you and helps you understand the passion, Mark displays in writing this book. So do not waste time, Go buy this audiobook today. I love Mark’s book. This is yet another mind opening book. He reads it himself with great articulation and in a tone as if he was chatting to you. The examples as always are varied and woven in seamlessly.